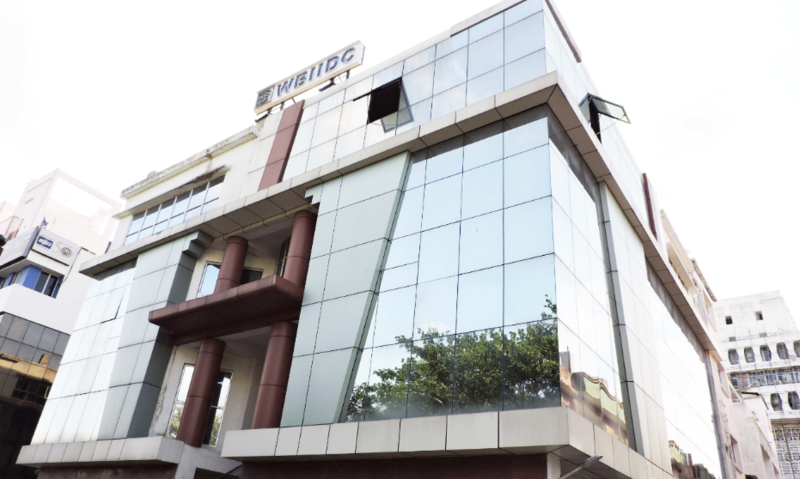 WBIIDC, a statutory organization of Govt. of West Bengal, established under Act XXIV of 1974 for provision of requisite industrial infrastructure spread over West Bengal to ensure balanced and well-planned industrial development in the State. Management Board comprises officials of Government Departments, Eminent Persons of leading Corporate Houses under the Chairmanship of Hon'ble Minister In Charge, Commerce & industries Department, Government of West Bengal. Chief Executive Officer, the main functionary is a Government nominee & Ex-Officio member of the Board. Seventeen Functional Industrial Growth Centres have been developed and one Industrial Park is under development over 2119 acres of land covering nine districts of the State of West Bengal. Activity Areas: Development of Industrial and Social Infrastructure within Industrial Parks/ Growth Centres, Infrastructure Development on behalf of other Government Departments viz. H & F.W., Agriculture, B.C.W., Directorate of Technical Education, Dept. of Education etc for securing development of Trade & Commerce. Infrastructure: All supporting infrastructure relating to Roads, Drainage, Water Supply, Power Supply, Street Lighting, CFC etc. have been developed by WBIIDC. Administrative Offices with supporting infrastructure & maintenance service exist for all such centres. Lands / Sheds have been allotted to various industrial units on 99 years lease. Prominent Investors: Tata Steel Ltd.-Bearing Division, Hindustan Coca-Cola Beverages Pvt. Ltd., Indian Oil Corporation Limited, Siemens Ltd., Exide Industries Ltd., Ruchi Soya Industries Limited, Phoenix Yule Ltd., CERATIZIT, BISKFARM, Almatis Alumina Pvt. Ltd., Haldia Precision Engineering Private Limited, Kamakshi Jute Industries are some major national and multinational companies that have made their presence felt at these Growth Centre.